If there’s one area of the home where it’s important to feel inspired and completely comfortable in your surroundings, it’s your home office. The architects behind the headquarters of the world’s most successful businesses have recognised and proved that the spaces we inhabit bear a significant impact on our work output – and the same goes for your home office. 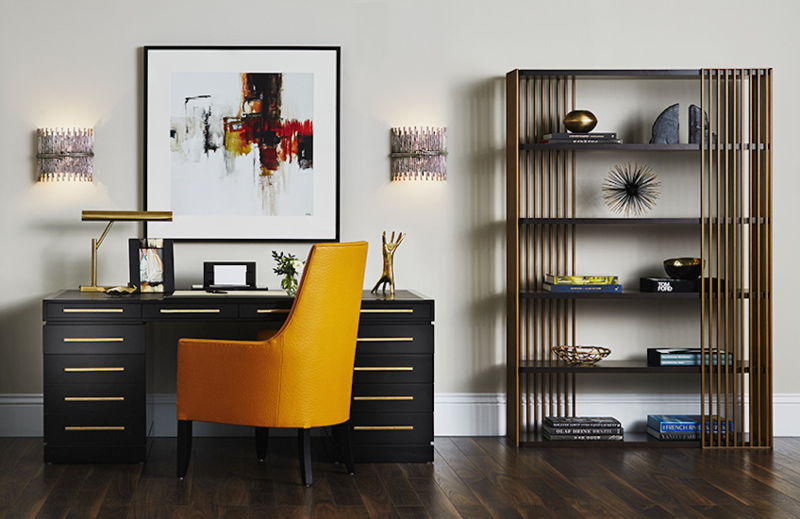 Interior design has a powerful ability to influence our frame of mind and motivation to work, and, as a result, a beautifully styled, thoughtfully organised workstation can be an effective way to stimulate productivity. There are simple steps you can take to create a hub that will make work seem like an inviting prospect. Follow these five easy design rules to help you tick ‘create an effective home office’ off your to-do list and watch success and work satisfaction follow. 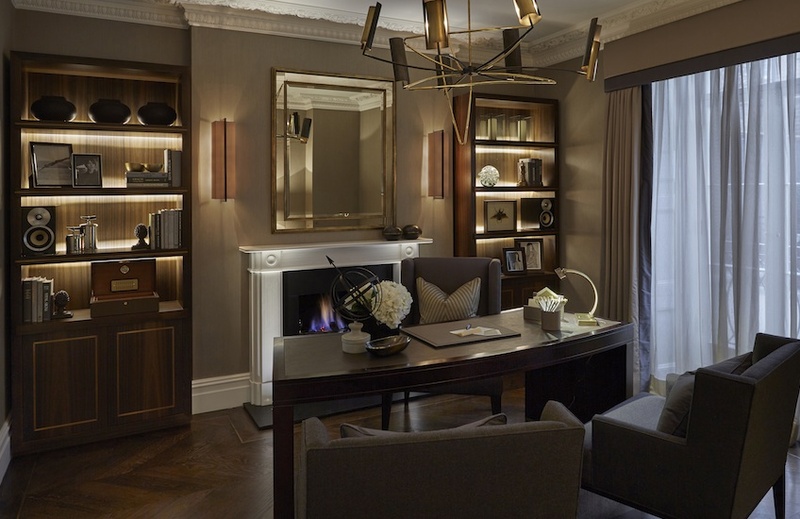 Once you’ve found the perfect desk, choosing the optimum location for it is essential. Having a view, whether it’s looking onto the rest of your office or an outdoor space, is recommended for a happy, healthy working environment. Think about placing your desk near a window to access as much natural light as possible or in the centre of the room so you can admire your office interior design. “Keeping things simple and uncluttered is essential,” says Laura. Dedicating a home to every object on your desk is one way to do this and will increase productivity. 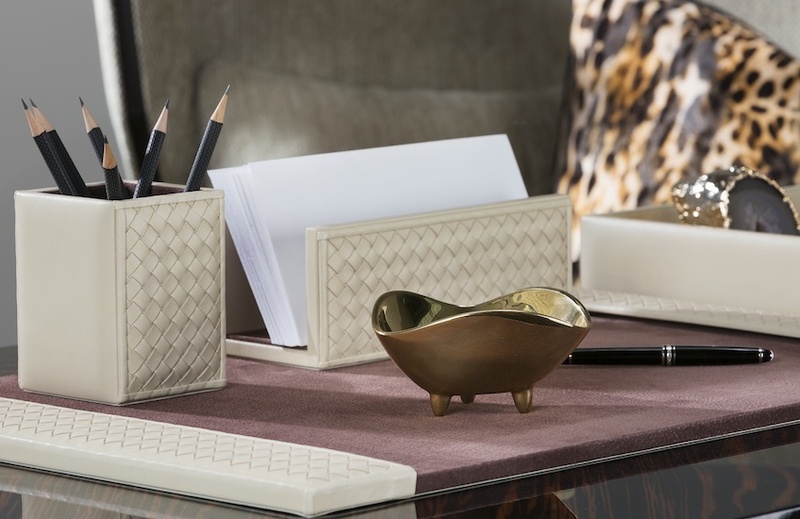 Invest in desk accessories with storage potential, such as letter holders, pen pots and desk tidies, to ensure your stationery and other work tools are presented beautifully and readily at hand. A well-organised desk with a specific place for each object means you can locate and grab what you need with ease and speed, helping you to work quicker and avoid wasting time looking for misplaced items. A clean, pared-back desk display assists a clear, focused mind, however it’s still crucial to incorporate enough materials, colour and accessories so that your desk expresses your personal style. 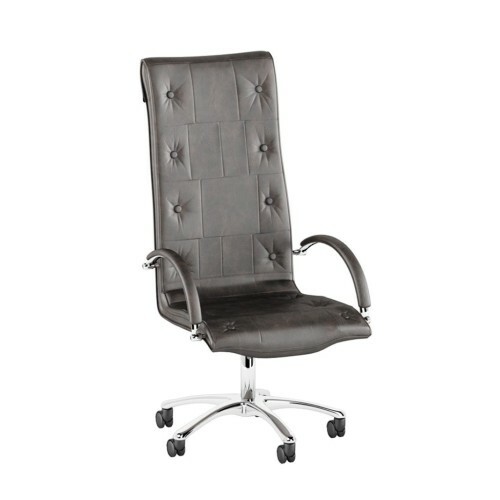 This will draw you to your workstation and help to make working a more pleasurable experience. 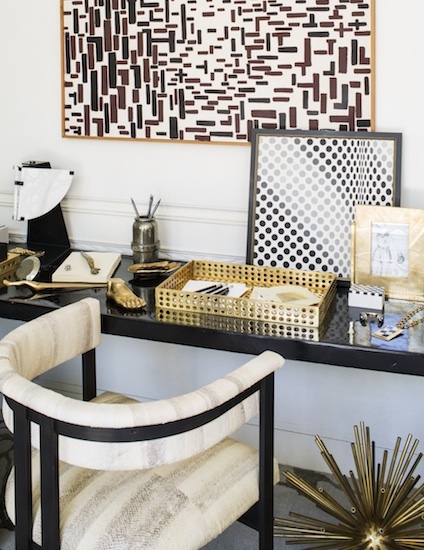 Using inspiring materials is an instant way to make your desk more alluring. Look to woven leather accessories to add texture, and metallic accents to amp up the glamour. “We recommend minimal accessories that offer practicality and style, such as an elegant paper weight or a leather writing pad,” says Laura. “Individuality can be brought in by monogramming and personalisation of stationery.” Artistic ornaments and wall art can also help to inspire creative thinking while frames filled with sentimental or motivational photos and pictures can inspire you to keep going when challenges arise. 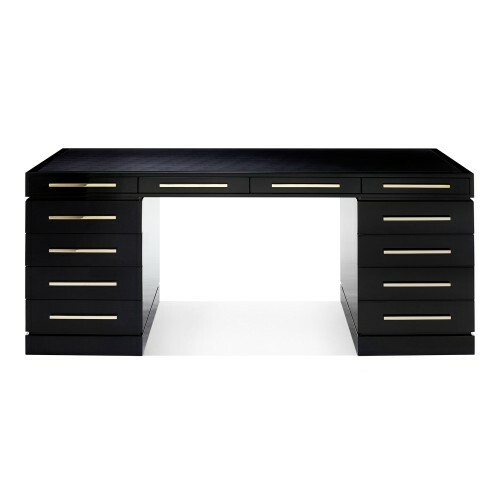 Using inspiring materials is an instant way to make your desk more alluring. Investing in design elements that combine form and function also increases efficiency in the office. The introduction of a desk clock, for example, is a perfect way to help you work to tight deadlines and channel a particular mood, whether it’s a traditional feel delivered by a clock face with Roman numerals or a modern flavour courtesy of a contemporary timepiece. 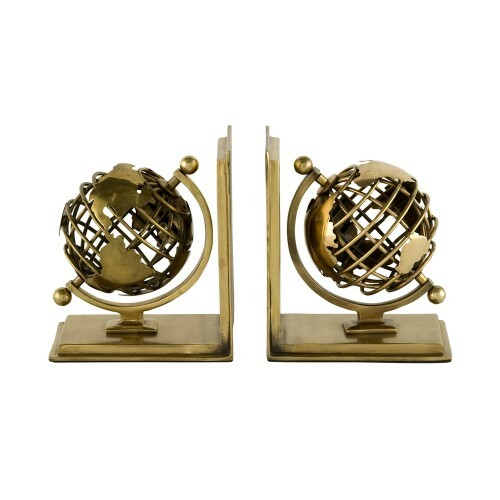 Bookends are also practical yet attractive additions to a home office as they add character and help to keep shelving displays tidy. 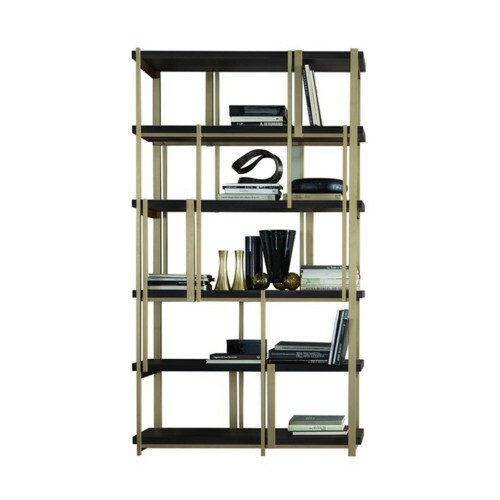 Storage is invaluable part of a dynamic home office. Desks with deep drawers and filing compartments enable you to hideaway clutter and paperwork you’d rather keep out of site whilst ample shelving allows you to display objets that call to be showcased. Smaller storage solutions, such as paper trays, memory boxes, magazine racks and desk tidies, are ideal for maintaing a slick, tidy appearance at tabletop level.